Is Liza Powel Lesbian ? The American playwright Liza Powel is widely known for being the wife of popular Television host Conan O' Brien. Her husband is the host of the popular Television talk show Late Night With Conan O' Brian and has been in the business for 16 years. Powel has worked as an advertising executive and copywriter for the company named Foote, Cone, and Belding (FCB). She is a playwright and is a member on the reading committee for the Ojai Playwrights. Liza Powel was born Elizabeth Ann Powel on November 12, 1970, under the birth sign Scorpio in Bainbridge Island, Washington. She attended Vassar College for her studies and later on enrolled at Columbia University to gain a degree. Liza Powel used to work as a copywriter and advertisement executive for an advertising company named Foote, Cone & Belding (FCB). She has appeared in some Television shows like Late Night with Conan O' Brien in 2000, 60 Minutes, Conan O' Brien Can't Stop and SXSW Flashback 2011. Powel has become a playwright and is a member of the reading committee for the Ojai Playwrights. She is also involved in charity as she helps the Children's Defense Funds' selection committee for their Beat the Odds program which provides scholarships to high school students. 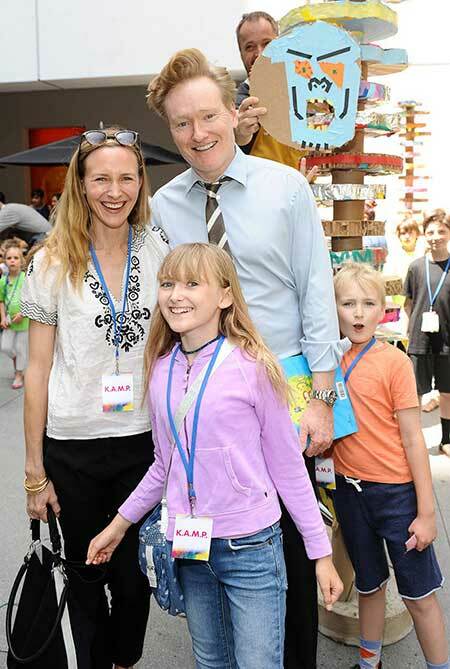 Her husband Conan O' Brien is a popular Television show host and comedian who runs the NBC's show, Late Night with Conan O' Brien. He has been working as a Television host for 16 years. Being the wife of a famous personality, Powel is seen making lots of public appearance with her husband in a red carpet event and other programs. Liza Powel's net worth is not revealed and is still under review. She is a playwriter and copywriter profession which adds to her income. Whereas her husband is estimated to have a net worth of $95 million and takes home a salary of $12 million. The couple has purchased vacation homes in Connecticut and Massachusetts. His house in Brentwood cost around $10.5 million which has 6 fireplaces, a paneled library with a bar and a 60 feet veranda. In 2008 he bought a luxurious house in Los Angeles for $10.7 million and put it up for sale in 2012 for $9.2 million. He owns a 1992 Ford Taurus whose price can range from $15.2k to $23.8k. Liza Powel is married to talk show host, comedian, actor, screenwriter Conan Christopher O' Brian since 2002. 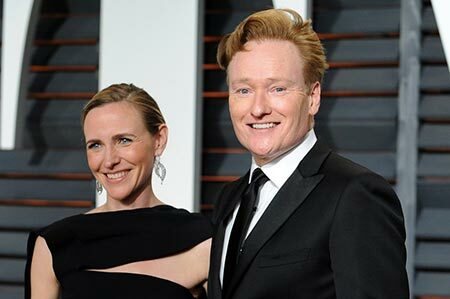 They first met on her husband's show Late Night with Conan in 2000 as the commercial they were making for the show was produced by Powel's company. "Somewhere, in the vault at NBC, there's footage of me literally falling for my wife on camera. You could see the connection forming right in front of your eyes." It is said that Conan fell in love with Powel the moment he saw her at his working studio and believed it was love at first sight. Soon they began dating and after being in a relationship for 18 months, they tied the knot in 2002 at St. James Cathedral in her hometown of Seattle. They have two lovely children from their marriage a daughter named Neve O' Brien on October 14, 2003, and a son named Beckett O' Brien who was delivered on November 9, 2005. Liza Powel with her husband and children. The family is living quite a fabulous life with immense support & love and are seen going on vacations often. In 2010, when her husband Conan lost his job of hosting The Tonight Show to Jay Leno and he went into depression and Powel was there 24/7 to support and console him. He was cast out of the show due to the controversy related to cultural relevancies. She kept him in busy by sending him to drop their children and forced him to participate in volunteer works to forget about his misery. The couple has been married for 16 years now and still share the same bond and love for one another. Powel is a pretty woman with some good features and stands at a height of 5'8 feet. The couple were in an 18 months relationship before marrying and later on tied the knot in 2002. They have two children. The couple gave birth to their first born a daughter named Neve on October 14, 2003. The couple gave birth to their son Beckett on November 9, 2005. He is his parents' only son.